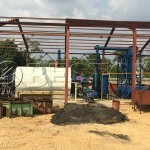 After 17 years’ efforts, our company has researched and developed a new plant to recycle plastic to oil, which is called plastic waste pyrolysis plant. 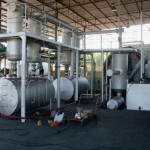 Our plant adopts the advanced pyrolysis technology. 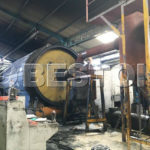 Besides plastic pyrolysis oil, we can also get carbon black and some combustible gas. Our plant can save energy and make money for you. The fuel oil from plastic waste can be used as industrial fuel materials for burning, or further refined to diesel or gasoline. The carbon black can be used for construction bricks with clay or used as fuel. You will surely benefit a lot from them. In addition , the gas can be recycled to heat the reactor as fuel, which will save energy for the whole working process. In the process of recycling plastic to oil, most customers will pay more attention to the oil yield rate. There are several factors that will have an influence on the oil output. For example, different materials have different oil output rate. The oil output rate of PE, PP and PS can be as high as 50%-70%, while that of the ABS is only 40%. 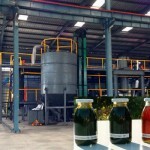 As a professional manufacturer, our plant and technology can guarantee the average oil yield rate as high as about 55%. Our plants have six models, BLJ-06, BLJ-10, BLL-16, BLL-30, BLL-40 and BLL-50. All of them have combined good performance with long service life time. Any problem, you could contact with us, we will feed back you within 24 hours.